In a way, Cusco is a travel-lover’s or tourist’s paradise, which is why you’ll find people from all over the world visiting this must-see city. As an Incan city home to beautiful architecture, museums, ruins, plenty of history and days-worth of shopping, we’ve gathered our list of Cusco’s top 20 most unique things to see and do, and that you absolutely can’t miss. Rocks on rock on rocks—that’s what you should expect to see when traveling through the Andean region of Peru. Cusco’s Inca stone work and architecture is incredible, and these 12-sided rocks are a perfect example of this brilliance. The Plaza de Armas boasts an Incan-Colonial architectural fusion unlike anything else in the world and is one of Cusco’s most beautiful spots to hang out. This cathedral towers over the Plaza de Armas and was constructed using Incan stones stolen from holy sites. Take a tour and enjoy the beautiful artwork and architecture. Built in 1571 upon an Incan palace, the church can be found a short walk from the main plaza. It houses plenty of colonial artwork and a beautiful courtyard to enjoy. Do you love chocolate? If so, you’ll love Cusco’s chocolate museum, which is really just a chocolate store and not a museum at all. You’ll find different flavors of chocolate that you’ve never even heard of before, like coca and lucuma. This amazing temple was once lined with gold before the Spanish came and pillaged it all. It was an important temple in the Inca empire and what’s left is definitely worth seeing. Come here to learn all about the Incas—the founders and architects of Cusco—and so many spectacular ruins throughout the Cusco region. 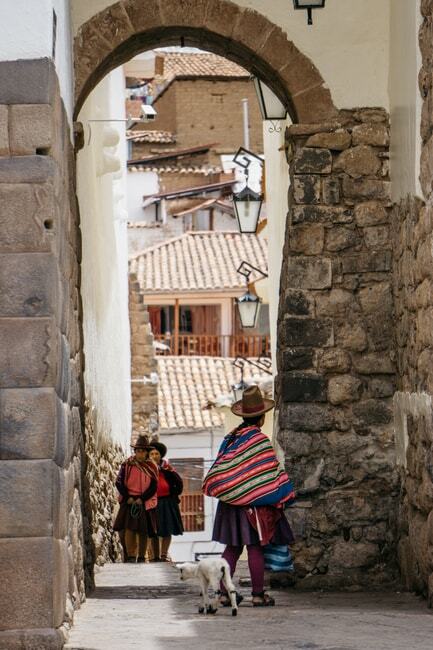 The bohemian district of Cusco is lined with boutique shops and cute cafés. Spend a day enjoying this little district and wandering its narrow streets. This one’s also not really a museum, but a Pisco bar where you can try classic Peruvian cocktails and some innovative drinks that are found nowhere else in Peru. You can even take a tour of the Pisco-making process and learn how to make the perfect Pisco Sour. Come here for the cheapest souvenirs and food options, but also to enjoy what it’s like being in one of Cusco’s largest and busiest markets. This giant ruin overlooking Cusco is somewhat of a mystery. It once stood as a large fortress and contains various temples and underground passages. Unfortunately only about 20% of the structure remains, but it is still a sight to behold. The word means “zig-zag” in Quechua because of the winding passageways that make their way through this temple—definitely a must-see on your trip. This giant statute of Christ looks over the city and makes for a fun and somewhat easy day hike. Be on the lookout for a red, plastic flag sticking out of the door or window of a home and you’ve found one Cusco’s many spots where locals come to drink chicha, their fermented corn beer also known as the golden drink of the Incas. Considered a delicacy in the Andes, this dish of roasted guinea pig won’t come cheap, but is a must-try. This ceremonial Inca bath is only a short drive or hike from Cusco and is included in your boleto turístico, the ticket to see all the ruins of Cusco and the Sacred Valley. 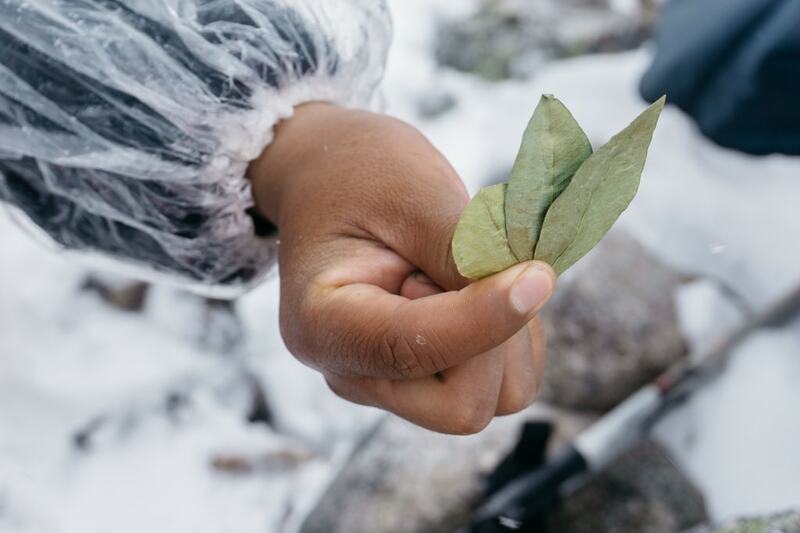 Coca leaves were once revered by the Incas and used in many ceremonies. This museum offers the perfect chance to understand more about the mystifying coca plant. The art museum in Cusco is a great place to get a better understanding of Andean culture and check out some native art. Another Incan structure located near Cusco, this ruin will almost look pink given the right amount of sunlight. Cusco is a shopper’s paradise, with stores all over the city selling beautiful (and decently-priced) alpaca items.